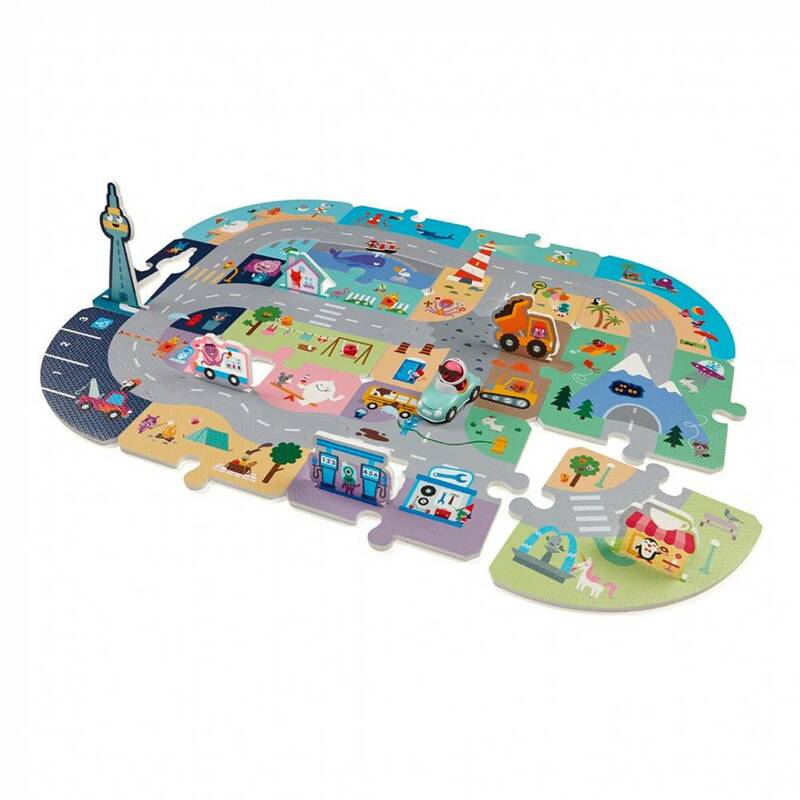 Design your own road trip with this foam puzzle play mat! 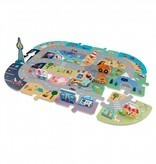 This mat isn't just for playing on, it's for playing with! 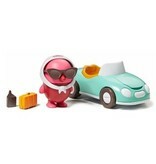 Move the puzzle pieces around to create new road trips every time! 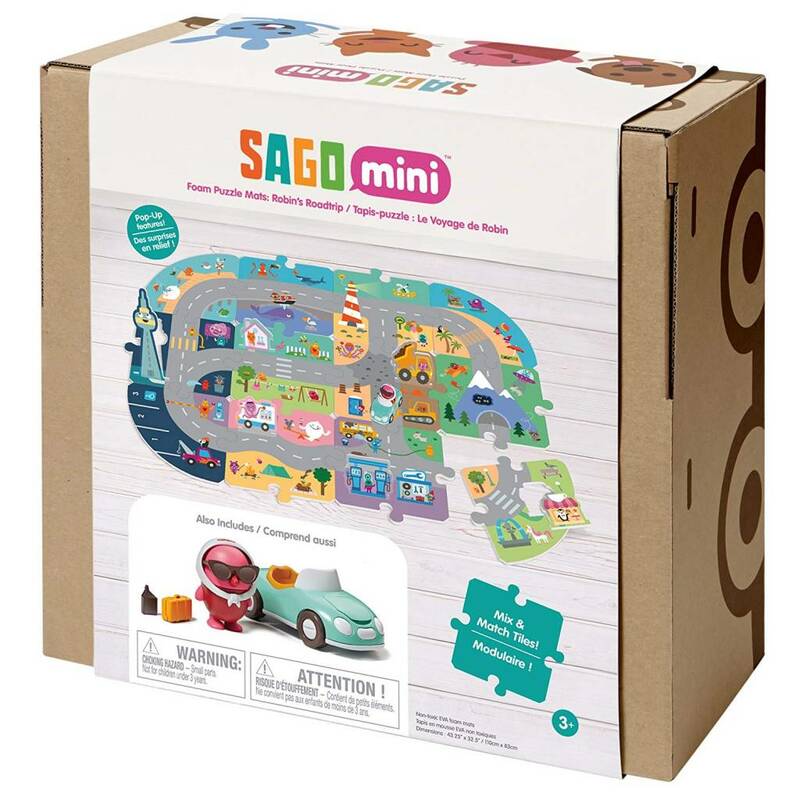 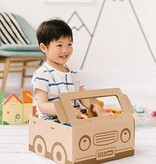 The box turns into a cardboard car. 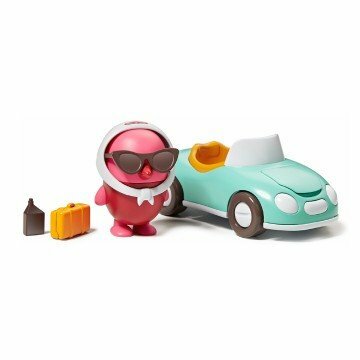 Includes 12 foam floor tiles, 1 figurine of Robin the bird, 1 vehicle, 1 pair of sunglasses, 1 scarf, 1 suitcase, and 1 oil can. 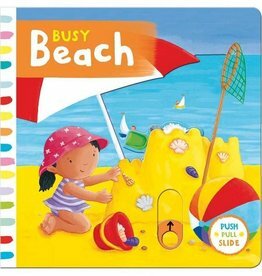 Recommended for ages 3+, because of the small pieces included. 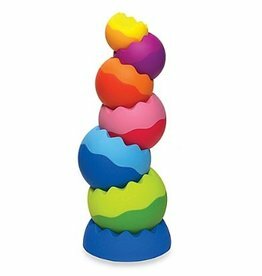 A tactile stacking toy for curious minds. Work together to bring the baby chicks home to their coop.